Trailing Clinton through all of the highs and lows of the most noxious and wildly dramatic presidential election in American history, CHASING HILLARY follows journalist Amy Chozick as she comes to understand what drove Clinton, how she accomplished what no woman had before, and why she ultimately failed. 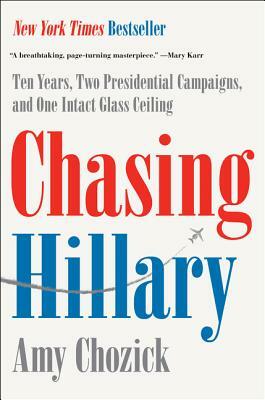 Poignant, illuminating, laugh-out-loud funny, CHASING HILLARY is a campaign book like never before that reads like a fast-moving political novel. We’re pretty excited that Amy Chozick is stopping by the store May 21 to speak about and sign her book at 7PM — see you there! MAGNOLIA TABLE is a gorgeous, new full-color cookbook with selections from Joanna and Chip Gaines’ restaurant in Waco. If you’re like our events coordinator, Lindsey (who just spent the weekend in Waco), you’re a huge fan of the Fixer Upper stars’ style and charm, and this is a cookbook you’ll want on your shelf! 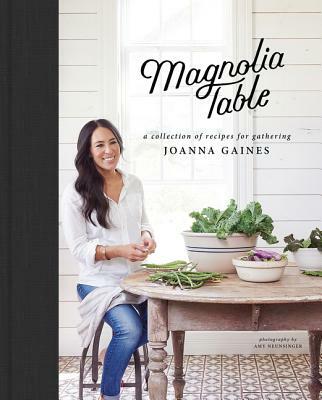 With recipes for classic staples and family favorites alongside engaging stories and helpful tips, MAGNOLIA TABLE is infused with Joanna Gaines’ warmth and passion for all things family! 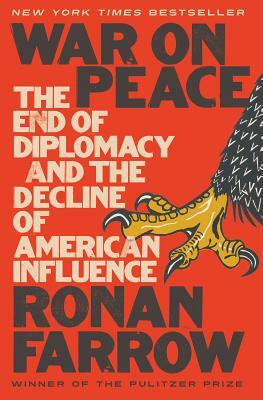 Pulitzer-prize winning author Ronan Farrow returns with WAR ON PEACE, a new political science book about the transformation US foreign policy is currently experiencing. An investigative journalist and former State Department official, Farrow has been exploring why US diplomats are walking out, why State Department offices sit empty, and why America is becoming a country that shoots first and asks questions later. Drawing on newly unearthed documents, and richly informed by rare interviews with warlords, whistle-blowers, and policymakers — including every living former Secretary of State from Henry Kissinger to Hillary Clinton to Rex Tillerson — WAR ON PEACE makes a powerful case for an endangered profession. Diplomacy, Farrow argues, has declined after decades of political cowardice, shortsightedness, and outright malice — but it may just offer America a way out of a world at war. Curtis Sittenfeld has established a reputation as a sharp chronicler of the modern age who humanizes her subjects even as she skewers them. 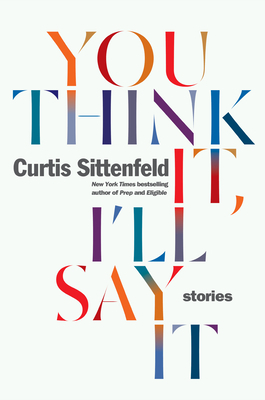 YOU THINK IT, I’LL SAY IT is Sittenfeld’s first collection of short stories, and highlights her skill as never before. With moving insight and uncanny precision, Curtis Sittenfeld pinpoints the questionable decisions, missed connections, and sometimes extraordinary coincidences that make up a life. Indeed, she writes what we’re all thinking — if only we could express it with the wit of a master satirist, the storytelling gifts of an old-fashioned raconteur, and the vision of an American original. Clemantine Wamariya was six years old when her mother and father began to speak in whispers, when neighbors began to disappear, and when she heard the loud, ugly sounds her brother said were “thunder.” It was 1994, and in 100 days more than 800,000 people would be murdered in Rwanda and millions more displaced. After travelling across seven African countries in search of safety, Clementine was finally granted asylum in the US at age 12. 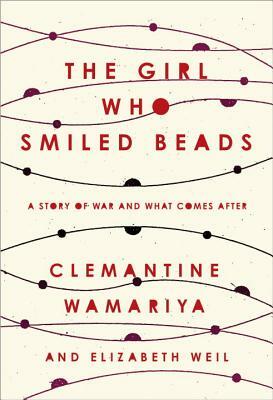 Raw, urgent, yet disarmingly beautiful, THE GIRL WHO SMILED BEADS captures the true costs and aftershocks of war: what is forever lost, what can be repaired, the fragility and importance of memory, and the faith that one can learn, again, to love oneself even with deep scars. A spirited homage to Dolly Parton that captures the unique humor, no-nonsense wisdom, flash, and sass of one of America’s most iconic stars. 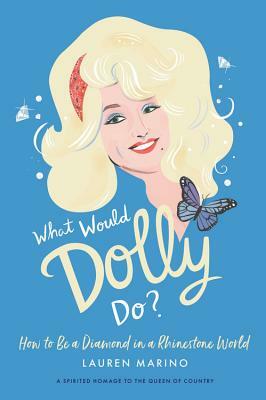 This lively, illustrated book — part biography, part inspiration, part words of wisdom and life lessons — highlights the very best of the “Dolly Mama.” Coincidentally, kids events’ coordinator, Eugenia, wore her Dolly shirt to work today — clearly, we can’t help but be fans of this incredible queen of country, and poster-girl for the American dream! This new graphic novel is making the rounds with the kids’ team, making us cry and laugh in turns. 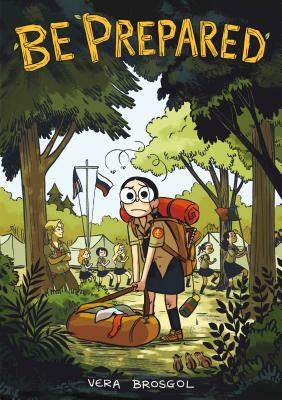 BE PREPARED is the middle-grade summer camp memoir you’ve been waiting for: all about navigating your own culture, struggling to belong, and the value of true friendship. Vera Brosgol’s charming panels and heartfelt story will fill your soul — we’re so excited this new book is out! Did you adore Love, Simon? 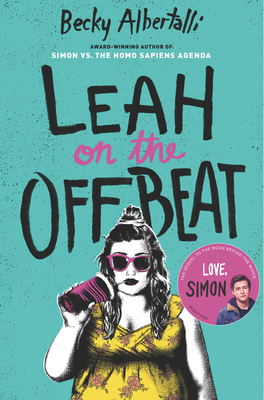 Get ready for Becky Albertalli’s sequel, LEAH ON THE OFFBEAT! Leah Burke — girl-band drummer, master of deadpan, and Simon Spier’s best friend — takes center stage in this novel of first love and senior-year angst. We’re so excited this book is out today because we’re reading Albertalli’s first book SIMON VS THE HOMO SAPIEN AGENDA at the Second Star to the Right book club!